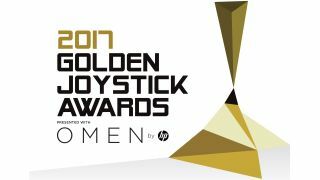 This weekend, a host of phenomenal new games join the race for the Golden Joystick Awards' most prestigious category. The winner will join an elite band of previous GOTYs including The Witcher 3: Wild Hunt, GTA5 and – way back in 1983 – Jetpac. With the release of Super Mario Odyssey and Assassin's Creed: Origins, players now have the chance to see how they shape up against the rest of the contenders for Ultimate Game of the Year. The Golden Joystick Awards give you the chance to vote for the games you enjoyed the most over the last year: but there's only one week of voting left, so make sure your voice is heard. Otherwise you're just shouting in the street, and that's not going to help anyone. Voting takes 5 minutes and as an added incentive you can claim from a selection of free eBooks, including Edge Magazine's 'The 100 Greatest Videogames' worth up to £15.99 / $26.99. If you need some help figuring out what to vote for - or what to shout in the street - then read on for a rundown of the contenders. There can only be one Ultimate Game of the Year, so choose wisely. Assassin's Creed: Origins marks the return of Ubisoft's genre-defining open world adventure series after an uncharacteristic absence. Although very much an Assassin's Creed game at its core - you'll climb things, fall on people, and explore a beautifully-rendered slice of the ancient world - all of these ideas have been revisited with a critical eye, leading to a host of incremental improvements upon what has come before. Destiny 2 isn't the first time Bungie have reinvented their sci-fi shooter MMO, but it may be the most radical. Its campaign is a comprehensive improvement on the flawed promise of the first game - funnier, more dramatic, with better villains and a finale worthy of Halo's best moments. Then, Destiny's life-conquering endgame is more varied and fair than it has ever been, offering more rewards to more players without the arcane barriers to entry that the first game suffered for. This fairness has led to players burning through what it has to offer a little quicker than they did the first time around, which is an issue - but there's never been a better entry point to Destiny, particularly for players of the excellent PC version. In a year where online and open world games have dominated the conversation, Dishonored 2 is an example of old-school singleplayer craft. Arkane's game of assassination, magic and conspiracy is made with both tremendous creativity and also huge respect for player agency. They provide the tools of a magical assassin's trade, and you provide the solutions: it's your choice whether you carve a path through every person who stands in your way or leave no trace at all. Gorgeous art, fantastic writing and music, and some extraordinary feats of level design round out one of the year's best singleplayer experiences. Not every open world game truly benefits from being open world, but Horizon: Zero Dawn is an exception. In a year of sequels, this was an act of genuine creativity, placing heroine Aloy at the centre of a techno-tribal world prowled by robotic creatures. Its vivid landscapes support both dynamic freeform hunting and a brilliantly-told central plot. It's fantastic to see a new series get off to such a strong start. On mobile, Monument Valley 2 built upon the successes of its beautifully crafted predecessor. As much a relaxation tool as a puzzle game, Monument Valley 2 has you manipulating colourful environments to navigate Escher-inspired pathways. This is one of those games that expresses itself without saying a word, allowing art, music and animation to transport you - if only for a few hours. Its rare that a game's UI is so stylish that it inspires cosplay, but not every game is Persona 5. Atlus' high school drama-turned-supernatural JRPG adventure exudes cool, from its soundtrack to its character design. There's substance beneath all that style, however, with a fantastic story told over the course of an epic running time, a deep, rewarding combat system, and detailed environments that exude a sense of place. PlayerUnknown's Battlegrounds is one of the defining games of 2017 - and it's still in early access. The battle royale genre has been a fixture of modding scenes for several years, but the absolutely explosive popularity of PlayerUnknown's opus was a surprise even so. Eclipsing every other game on Steam, millions of people take to the Battlefield to search for kills, cookware and chicken dinners every single day. It certainly has rough edges, but few games have generated more stories - or more YouTube highlight reels - than PUBG this year. It's fair to expect it to have a tremendous influence on the next generation of multiplayer shooters. Another highly successful reinvention in a year full of them, Resident Evil 7 radically overhauled Capcom's veteran horror series. Doing away with third-person zombie blasting and the high camp of the latter entries in the original storyline, Resi 7 take things back to basics: a mystery, a creepy house on a hill, and danger around every corner. The shift to first person supports a much more immediate, personal experience - particularly in VR, where Resi 7 shines. 'Shines' probably isn't the right word, is it? Let's go with 'terrifies'. Every step of the way, Super Mario Odyssey has managed to surprise - even before it was released. Remember the first time you saw Mario in New Donk City, a metropolis populated by relatively-realistic people? Remember the first time you realised that you were controlling a sentient hat with the power to possess both businessmen and dinosaurs? The return of Nintendo's mascot delivers on those surprises and more. This is the best Mario game since Super Mario Galaxy and the bravest departure for the series since Mario 64 - two points of comparison that place it among the best Nintendo games ever made. That's rarified company. You know we're living in extraordinary times when the best Mario in decades may not be the best Nintendo game of the year. The Legend of Zelda: Breath of the Wild is - once again - a staggeringly accomplished reinvention of a formula that few would be brave enough to try and reinvent. Taking Zelda in a striking new direction, Breath of the Wild is captivating in a way that few open world games accomplish. This is an extraordinary simulation of a living world, with every part of that simulation calibrated to support exciting adventures. Finally, What Remains of Edith Finch stands out as one of the year's most impressive narrative experiences. A funny, sad, playful and affecting evolution of the 'walking simulator', you explore a beautiful, strange house and encounter vital moments in the lives of the people who once lived here. Although this is fundamentally a game about death, it's not a morose or self-serious experience: and in tackling such an emotive subject from lots of different angles, in lots of creative ways, What Remains of Edith Finch expresses a degree of humanity that few games can match. Lots of games this year presented drama at scale: What Remains of Edith Finch, by contrast, reveals the depth concealed in small moments. Ready to cast your vote? Visit the Golden Joysticks voting site or access our Facebook bot to make your voice heard. Be sure to provide your details on the final page in order to receive your free ebook, and tune in to the Twitch livestream on November 17th to see the winners revealed live in London.